Product prices and availability are accurate as of 2019-04-18 11:45:24 UTC and are subject to change. Any price and availability information displayed on http://www.amazon.co.uk/ at the time of purchase will apply to the purchase of this product. ?Charging Time: About 70-80min Flying Time: About 6-8min ?Features: APP operation, Gravity sensor: forward, backward, left, right fly. 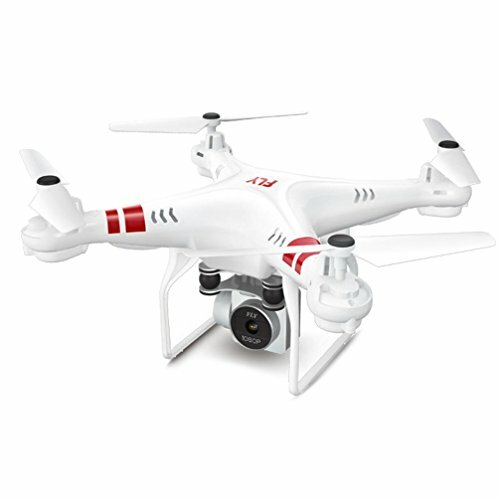 Trajectory flight,Alititude Hold,Photo,Video,360 Degree Rollover, Turn Left / Right, One Key Automatic Return, Throwing Flight, Hovering control,One Key Hovering,LED ?Mini to Take - You can take it everywhere you want to enjoy with its mini design.With chargeable battery,more convenient for you to use it outdoor. ?Headless Mode - With 360 degree flip,you can control you drone in headless mode and get picture or video from different vision. ?Easy to Control - .It is controled by the remote control. Simple to Operate - With one key to take off and altitude hold function, you can control it easily.